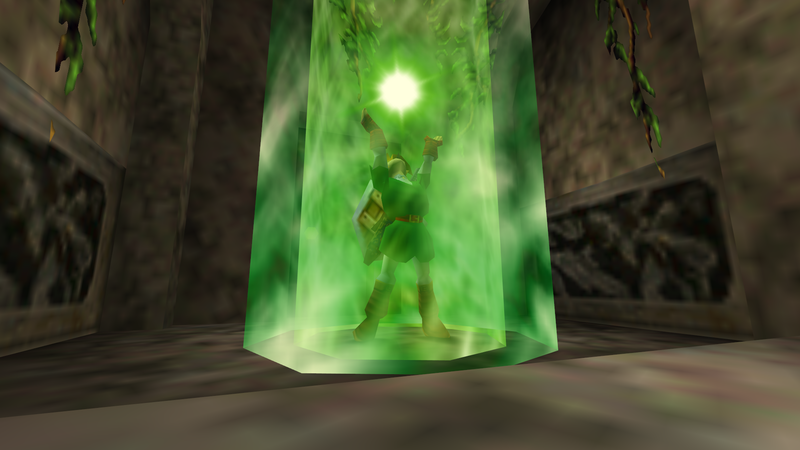 Daily Debate: Would You Like To See A Detailed Magic System in Zelda? Not since the N64 era have we seen magic in a Zelda game. Din, Farore and Nayru’s blessings were merely magic sapping items in Ocarina of Time with actual “Spells” only ever appearing in Zelda II: The Adventure of Link, never to be seen again. Heck, the last time a Magic Meter was included at all in a main series title was Wind Waker. Does this shift away from spellcasting cement Link as a swordsman, or is there room in his arsenal for magic to return? The Runes in Breath of the Wild were great items, but that’s just what they were, tools. Link has more of an affinity for tactile weapons than nebulous sorcery, a realm usually designated to Zelda, but why can’t Link wield both? Beyond enhancing arrows with elements, wouldn’t it be interesting to see a Witcher 3-esque system where perhaps Poes could be made tangible or Bokoblins be dazed? AoE damaging spells and recovery skills were bestowed upon Link in Breath of the Wild with limited but rechargeable uses, is this enough or would you like to see a more fleshed out system? Or is everything fine as it is? Do you prefer Link to be detached from magic? Do you have any ideas about how magic could be reimplemented into the series? Let us know in the comments below!